If you love The Innovative Educator blog, you may like some of the books I've written on the topics of technology and learning alternatives. The books hit upon some of my favorite topics including how to turn technology from weapons of mass distraction to tools of engagement, how to harness the power of technology to strengthen the home school connection, and alternatives to learning for those students that are struggling in a traditional school setting. 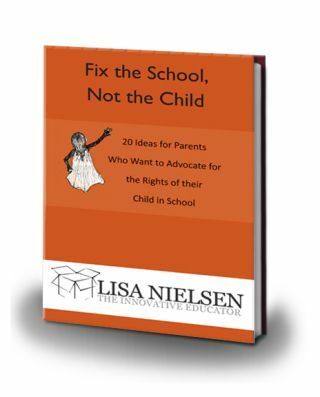 Each book provides practical tips, advice, and real experiences from students, staff, and parents. Check out the images below for a sampling of what you will find. See something you like? Head on over to the "My Books" tab at the top of the page for an overview and purchasing information. Prices are reasonable ranging from free eBooks to hardcovers ranging from $5.99 - $23.95.